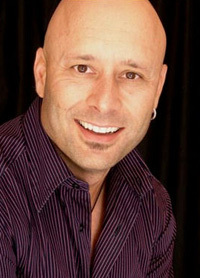 Mark Pilgrim has been entertaining millions of listeners on radio for nearly two decades. He started his career on 5fm, and now broadcasts simultaneously on 94.7 Highveld Stereo in Johannesburg and 94.5 Kfm all across the Cape. Mark Pilgrim is a well-polished Master of Ceremonies, corporate DJ, as well as motivational speaker, with significant experience performing at corporate and special events across South Africa. In addition, he is a professional voice artist, having done countless radio and television commercials and audio-visual narrations. Mark Pilgrim is a cancer survivor, having been diagnosed at the age of 18 with stage 4 testicular cancer, which spread to his lungs and kidneys. In 2008, at the age of 38, he survived a severe and sudden heart attack which was caused by a genetic condition. Despite narrowly cheating death twice, his positive and genuinely happy attitude towards life is infectious and motivates others to achieve their own personal goals in life. As a polished motivational speaker, Mark's inspirational story is anecdotal and humorous. Need Corporate Entertainment We have South Africa`s finest Artists. Hire a Comedian, Master of Ceremonies, Live Bands, Dance Acts, Hire a Magician We have the very BEST in Live Entertainment for your function or event.